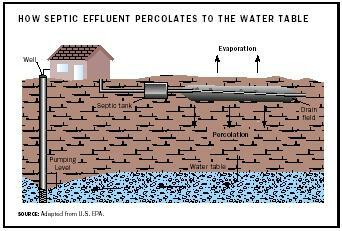 Grit removal is usually followed by a sedimentation tank/ clarifiers where inorganic and organic suspended solids are settled out. SEE ALSO A BATEMENT ; B IOSOLIDS ; NPDES ; P OLLUTION P REVENTION ; W ATER P OLLUTION . Environmental Protection Agency, Office of Water. (1993). "Constructed Wetlands for Wastewater Treatment and Wildlife Habitat." Available from http://www.epa.gov/owow/wetlands/construct . Ohio State University Extension, Food, Agricultural, and Biological Engineering. "Wastewater Treatment Principles and Regulations." Available from http://ohioline.osu.edu/aex-fact/0768.html . This is Good. But now a days their is so much of pollution due to lack of awareness in environment and human lift relation. Now people aware about pollution impact on environment, and how important to dispose treat the waste water, before it dispose into environment. But waste water treatment require lot economical support and no money back system, Because of this disadvantage in backward countries put back step to install a treatment plants. So developing countries give a support hand to poor countries to provide technology such that low cost waste water treatment, and even given them economical support. Question: Please give the information about most economical less space waste water treatment process of both Sewage and Industrial Effluents. Iam a master student doing project on effects of waste in water quality, can your assist me with materials that can help me in the work. The production and processing of coffee however, has over time been criticized for its direct and potential negative impact on the environment. The wet process is the method employed for the processing of coffee among the two processing method in Ethiopia. This method is associated with the use of large volumes of water resulting in copious amounts of highly polluted effluent. These pollutants are high BOD and COD concentration, total solid (TS), volatile solid, suspended solid, and if stayed for long time GHG emissions. •	In many parts of the plants area, including in the peri urban, health problems and diseases have often been caused by discharging untreated or inadequately treated waste water due to effluent from coffee processing plants? •	The pollution of water has a serious impact on all living creatures, and can negatively affect the use of water for drinking, household needs, and recreation due to over uses of coffee processing plants? I like to keep up to date with what's going on in this sector and try to do what I can to help out. WHAT ARE THE STANDARDS OF WASTE WATER IN TERMS OF pH, DISSOLVED OXYGEN (DO)ELECTRICITY CONDUCTIVE (EC) AND TOTAL DISSOLVED SOLIDS? Build your business with visitor driving blogs!